With peak bloom projected April 3-6, D.C.'s cherry blossom trees have reached stage four, the National Park Service tweeted excitedly Monday afternoon. With peak bloom projected next week for the first few days of April, D.C.’s cherry blossom trees have reached stage four, the National Park Service tweeted excitedly Monday afternoon. 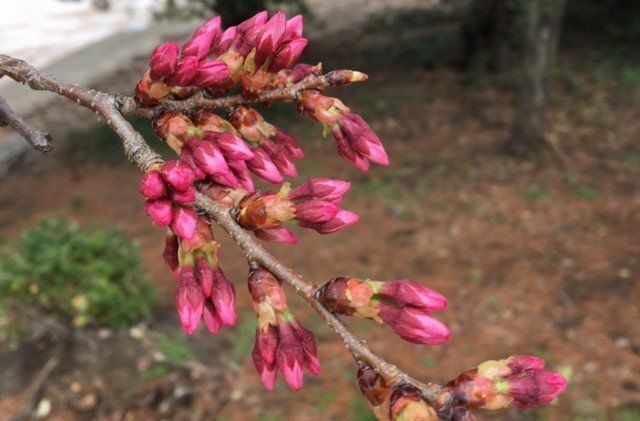 That’s right; peduncle elongation has arrived, and according to the National Cherry Blossom Festival’s website, that means it’s about an average of five to 10 days until peak bloom. Stage five follows and marks the arrival of puffy white, and then it’s peak bloom, when 70 percent of the Yoshino cherry blossoms are open. Peak bloom is expected April 3-6. The National Cherry Blossom Festival kicked off last week and runs until April 14.